Rhode Island has been my periodic home through the years and is at the moment. We are known as The Ocean State. But we are known for a whole lot more. The fun stuff follows the dry, stuffy stuff. 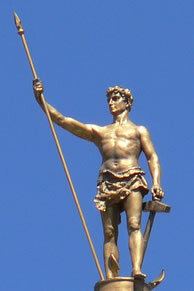 Rhode Island is the smallest state but we have the longest name. Officially we are the State of Rhode Island and Providence Plantations. Rhode Island was the first of the 13 original colonies to declare independence from British rule on May 4, 1776 but was the last to ratify the Constitution. We are the eighth least populous but the second most densely populated of the 50 states. Our state bird is a Rhode Island Red chicken and our state flower is the violet. Our state motto is HOPE. We are the only state to use smiley faces on our state tax return. We have the oldest library and a synagogue in the country and we have the first First Baptist Church. RI is home to the longest running Fourth of July Parade. Since 1785. The costume jewelry industry started in RI as did ‘Fruit of the Loom’. Now the more interesting stuff. Until 1984 we were the Mafia Capital of New England. Home to Raymond L.S. 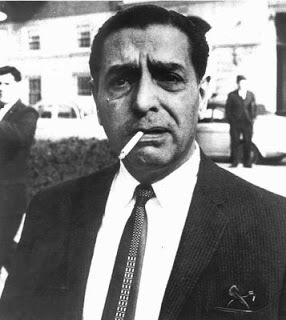 Patriarca. We are famous for our world record breaking giant pumpkins. 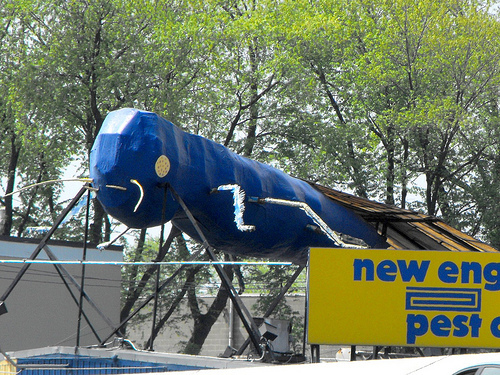 The Independent Man stands atop our state house but more famous is Nibbles Woodaway who stands atop a building overlooking Route 95 at the Thurbers Avenue curve and is known as The Big Blue Bug. Oh and Mr. 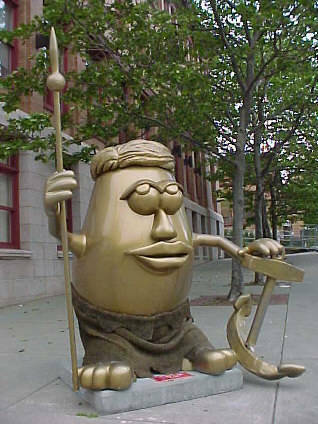 Potato Head comes from RI and large versions of him can be found around the state. Read more about that here. The first diner was in RI. You are all welcome for that invention. Food is a big part of what makes Rhode Island Rhode Island. We have some of the best restaurants in the country. No need to go to Boston or New York. You will not find better Italian food than on Federal Hill. You may think so, but you are wrong. And you can find just about any other ethnic cuisine you want. are pizza strips. Rectangular strips of thick dough with sauce and no cheese, served at room temperature, preferably greasy. Confidentially, they are horrible but we love them. Having a party? Gotta go to the bakery and get a box of strips. We take our lemonade frozen and Dels is the king. There is a food called dynamites but I have never had them. You can only get them in Woonsocket and I don’t go to Woonsocket. It’s a RI thing, hard to explain. We put vinegar on our French Fries (except in Woonsocket where I hear they put on gravy) and we drink cabinets. They are like milk shakes only not. 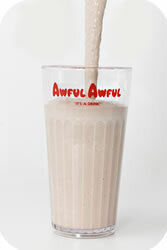 And then there is the Awful Awful® which is like a cabinet on steroids. If you can drink three you get one free. Of course by then you are on your way to the emergency room. Although my mother did it once. And being summer, one of the best meals is clam cakes and ‘chowda’. My husband likes to get his at Aunt Carrie’s but I like to go to Iggy’s. There is so much more. Both wonderful and weird. This does not even scratch the surface. Visit some day. ← VOTE for a cause! Interesting facts. My husband has relatives that live in Rhode Island. Thanks for sharing. 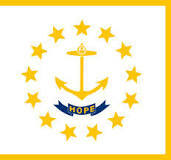 I have never been to Rhode Island but I will put this on my places to visit.